How Clean is Your House? gone rabid. OMG. Do you remember the TV show where dirt-busters went to grimy houses, and revealed the hidden horrors there? Well, this book is like that show gone ultra. A horrid look (with hideous colour pictures) at what lives in your house, besides you. Dust mites, poo particles, snot balls, belly button fluff, lice, deadly viruses. Yup: you’ve got housemates from hell. It is the best book I have ever read! 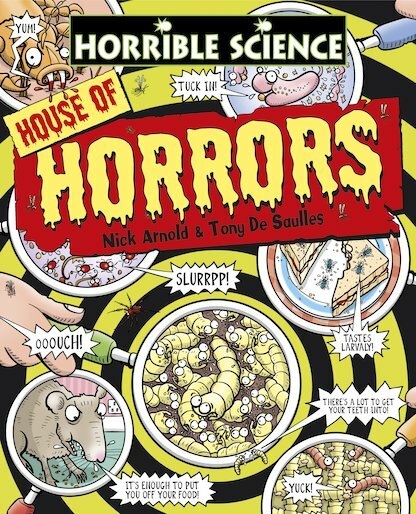 It has colour and facts about whats living in your house!